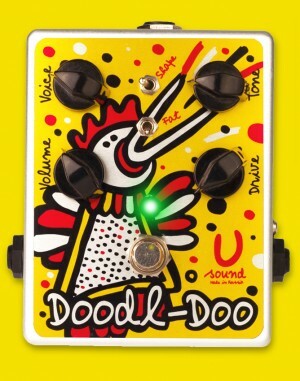 The DOODL-DOO overdrive pedal derives certain tonal qualities from its distant relative – the Tube Screamer, but this bird sings a song of its own. 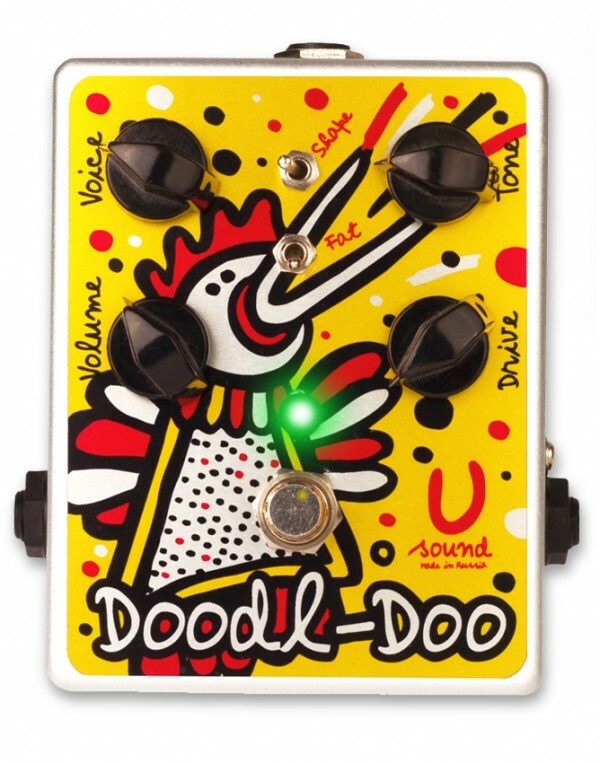 While the voice of the DOODL-DOO ranges from sweet and mellow to raw and powerful, this bird is dangerous, although it may appear harmless and cute. Sweep the "TONE" and "DRIVE" knobs to shape your sound, then use the "VOICE" function as a band filter to remove any unwanted mid frequency "obviousness." Flip the "SHAPE" switch to defeat the "VOICE" function altogether. Beef up your tone by engaging the "FAT" switch. Terms of manufacturing and price is discussed individually.